Citing sources is often described as a straightforward, rule-based practice. But in fact, there are many gray areas around citation, and learning how to apply citation guidelines takes practice and education. If you are confused by it, you are not alone – in fact you might be doing some good thinking. Here are some guidelines to help you navigate citation practices. Cite when you are directly quoting. This is the easiest rule to understand. If you are stating word-for-word what someone else has already written, you must put quotes around those words and you must give credit to the original author. Not doing so would mean that you are letting your reader believe these words are your own and represent your own effort. Cite when you are summarizing and paraphrasing. This is a trickier area to understand. First of all, summarizing and paraphrasing are two related practices but they are not the same. Summarizing is when you read a text, consider the main points, and provide a shorter version of what you learned. Paraphrasing is when you restate what the original author said in your own words and in your own tone. Both summarizing and paraphrasing require good writing skills and an accurate understanding of the material you are trying to convey. Summarizing and paraphrasing are difficult to do when you are a beginning academic researcher, but these skills become easier to perform over time with practice. Cite when you are citing something that is highly debatable. For example, if you want to claim that the Patriot Act has been an important tool for national security, you should be prepared to give examples of how it has helped and how experts have claimed that it has helped. Many U.S. citizens concerned that it violates privacy rights won’t agree with you, and they will be able to find commentary that the Patriot Act has been more harmful to the nation than helpful. You need to be prepared to show such skeptics that you have experts on your side, too. This section covers how and when to cite sources. For a discussion of why to cite sources, see Ethical Use of Sources. Don’t cite when what you are saying is your own insight. As you learned in The Purpose of Academic Argument, research involves forming opinions and insights around what you learn. You may be citing several sources that have helped you learn, but at some point you must integrate your own opinion, conclusion, or insight into the work. The fact that you are not citing it helps the reader understand that this portion of the work is your unique contribution developed through your own research efforts. Don’t cite when you are stating common knowledge. What is common knowledge is sometimes difficult to discern. In general, quick facts like historical dates or events are not cited because they are common knowledge. Barack Obama became the 44th president of the United States in January, 2009. Some quick facts, such as statistics, are trickier. For example, the number of gun-related deaths per year probably should be cited, because there are a lot of ways this number could be determined (does the number include murder only, or suicides and accidents, as well?) and there might be different numbers provided by different organizations, each with an agenda about gun laws. A guideline that can help with deciding whether or not to cite facts is to determine whether the same data is repeated in multiple sources. If it is not, it is best to cite. The other thing that makes this determination difficult might be that what seems new and insightful to you might be common knowledge to an expert in the field. You have to use your best judgment, and probably err on the side of over-citing, as you are learning to do academic research. You can seek the advice of your instructor, a writing tutor, or a librarian. Knowing what is and is not common knowledge is a practiced skill that gets easier with time and with your own increased knowledge. Wikipedia, while good for early research and background information, shouldn’t be cited as a source because it’s already a summary. You’ve likely been told at some point that you can’t cite Wikipedia, or any encyclopedia for that matter, in your scholarly work. The reason is that such entries are meant to prepare you to do research, not be evidence of your having done it. 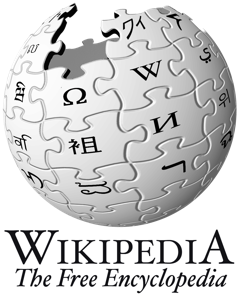 Wikipedia entries, which are tertiary sources, are already a summary of what is known about the topic. Someone else has already done the labor of synthesizing lots of information into a concise and quick way of learning about the topic. So while Wikipedia is a great shortcut for getting context, background, and a quick lesson on topics that might not be familiar to you, don’t quote, paraphrase, or summarize from it. Just use it to educate yourself. Activity: To Cite or Not to Cite?